Ruth Eckerd Hall is considered one of America’s top concert halls - a performance held at its theatre is an engaging, memorable experience. When the Hall approached atLarge to transform its digital presence, we not only aimed to captivate its audience, we also created a user experience that mirrored the venue’s high-end authenticity in every step of the customer journey. From the beginning, our team aimed to create a seamless transition between the website and venue experience. We delved into elements of audience personas and user experience to understand the design elements that made them excited about the brand. The Hall was using Pop service to facilitate its ticketing in conjunction with Tessitura, arguably the largest ticketing platform in the arts world. However, we discovered there was a disconnect between the Ruth Eckerd Hall brand and the Tessitura experience. To address this, our engineers customized a solution that would tie the brand experience and the functionality of the ticketing service together. New features that tailored the experience so that the user wouldn’t disconnect from the Ruth Eckerd Experience when purchasing tickets were implemented. With our understanding of how the Ruth Eckerd Hall team used Tessitura, we were able to ensure the staff users also gained the best experience of the customized software for their everyday tasks by creating configuration recommendations that would enable them to get the most out of their website and software. We further integrated a completely unique seating plan into Tessitura, which was tailored to the layout of the Ruth Eckerd Hall theater and matched the branding. The seating chart connected to Tessitura and created a checkout system that was simple and humanized. 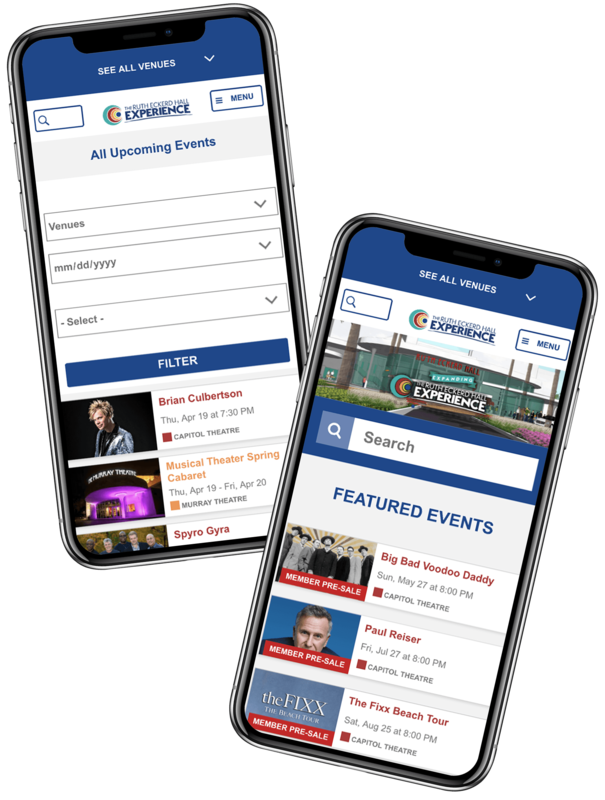 Our team successfully delivered a new ticket servicing platform for Ruth Eckerd Hall, customized to their needs that connects their branding and services. By doing this, we presented all of their venues uniquely, giving each its own presence and features on the site. 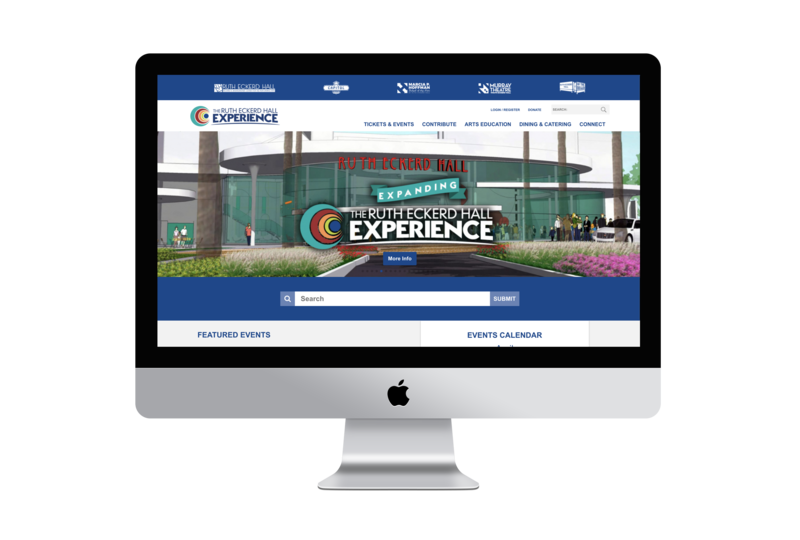 We tailored the interface so that it was cohesive with the Ruth Eckerd Hall website and with this, we were able to present complex interactions in a simplified user experience that focused on the customer rather than on sales. Increasing membership was a large aspect of the new development, with unique features integrated in Tessitura. This was configured in a way that, to date, none in the industry had, through functions that no other Tessitura users would have access to. Since the launch of the Ruth Eckerd Hall Experience, the venue has seen improvements from both a customer and administrative perspective, seeing significant increases in both site visits and ticket sales. Throughout our relationship, our commitment to our partner and providing the best service possible to their customers has remained strong.